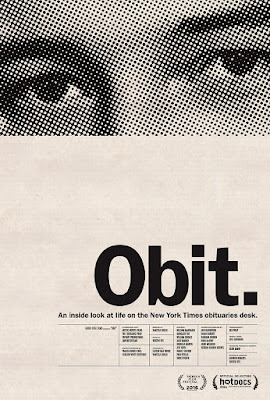 I saw OBIT last year at Tribeca and absolutely loved it. The film begins it's theatrical run on the 26th so here is my review from last year. 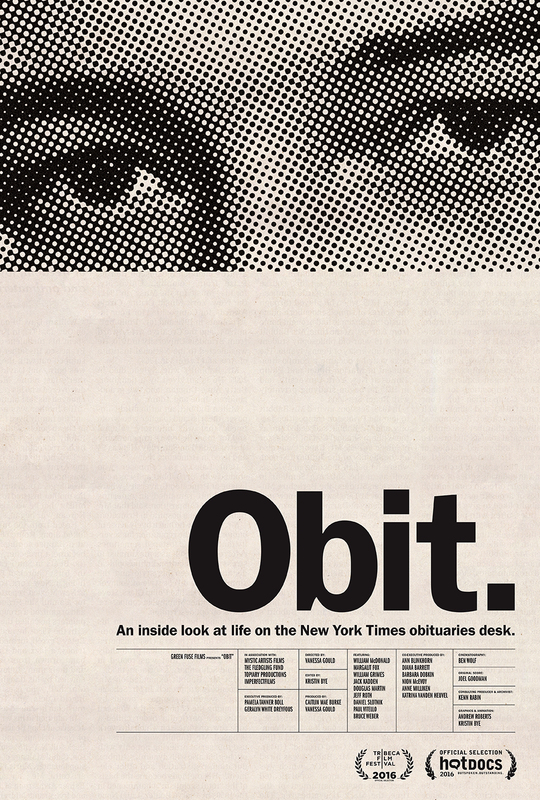 OBIT is easily one of the best films playing at the Tribeca Film Festival. A look at the New York Times obituary desk the film shows us how the men and women who do the writing handle the task at hand. A wonderful timely film (they include David Bowie) this film is just a great film about not only obits but also writing. What does it take to write a good piece? Since the obit is to be the summation of a life how do you do that quickly and remain true to the person? The film shows that it's a fine line that isn't always easy. I loved this film a great deal. Its a film that moved me for any number of reasons, mostly though because the film is both entertaining and informative. On a personal note, the film was an odd experience in a couple of ways. First one of the people profiled in the film Paul Vitello who I met many years ago when he did a profile of my brother for Newsday. I had always wondered where he had ended up, and now I know. Additionally the film connected itself to two earlier Tribeca in a personal way when the film showed a picture of Roger Ebert followed by one of Elaine Stritch. I had found out that Ebert had died while going to Press screening s for Tribeca three years ago, While I had a wonderful brief run in with Ms Stritch at the premiere of a documentary on her life where she cracked wise at me. Steve, I liked it too, though not quite as much as you did. Interesting that it is opening one year after the Tribeca run of last year, but all things considered deserving. Nice framing here!